Okidoki then... looks like a bit of a scuffle will come to disrupt the "peaceful drinking" of the Superhero Team. 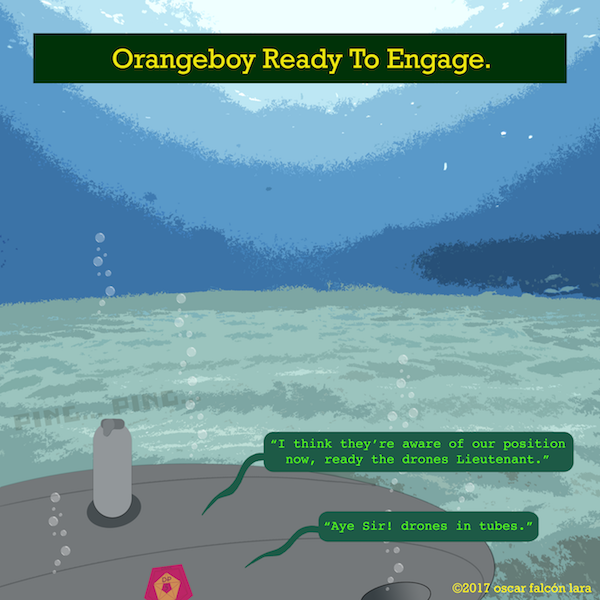 Orangeboy used to be an underling of Agent Flowerman, a semi-competent element that got on everyone's nerves around the base; Flowerman never recommended him for any serious missions or promotions (that garnered some animosity or more like serious hate towards his superior) and kept an extra careful eye on him during briefings and sorties because of his tendency to go off-book. He left like all those who cannot "cut it" and joined Dark-Pink Faction, a Blackwater-style of private-public army with plenty of resources thanks in part to Zynestro, The Toddler Superhero's arch-enemy.